Over the last decade or so, live chat boxes have slowly become a staple in many websites’ landing pages. What some may view as an annoyance can actually keep the customer on your site longer, cut down time on the phone, and lead to more conversions—at least that’s what it would seem. Proponents of Live Chat will boast surveys conducted on the usage and effectiveness of live chat boxes, citing the fact that users generally do respond well to websites that have chat windows. This Forrester survey reports that chat usage rates had risen from 30 percent in 2009 to 43 percent in 2012. It has surely climbed since. The survey further revealed that 44 percent of U.S. online consumers like having a chat invitation appear while they’re researching or purchasing a product online. Further, Boldchat’s 2013 Live Chat Effectiveness Research Report showed that 47 percent of respondents who prefer live chat reported that they are more likely to make a purchase when a website provides a live chat option. This means nearly half of all your target customers are either accustomed to or potentially interested in using live chat. If these surveys show such positive results, then why don’t live chat windows always improve conversion rates? 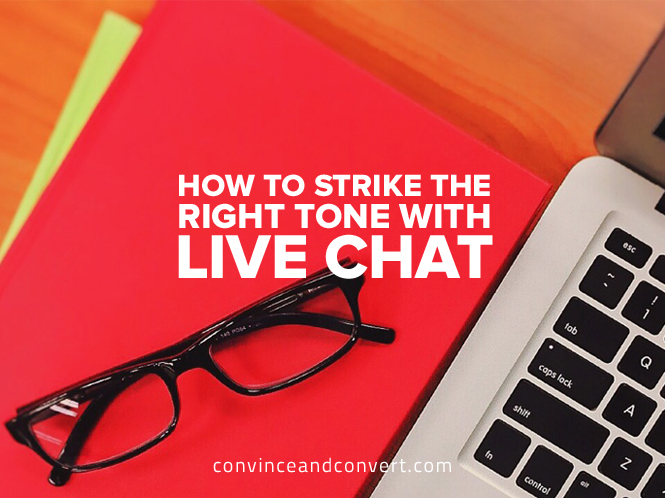 In my experience, a well-converting website with a large number of inbound leads can easily get thrown off course by tossing in a live chat box. I run an online insurance agency, and we recently decided it was time to put a chat box on our company site, as well as one of our main publishing partner’s sites. Our initial integration was fairly crude—we created a PureChat account, assigned two reps to monitor it, and off we went. We saw an immediate drop in conversion rates across our pages, to the tune of 30 percent. On Monday, we had 100 inbound leads. On Tuesday, with our chat boxes live, we had 70. Nothing else changed. It’s not exactly good for business to lose 30 percent of your lead volume overnight. Of course, our site visitors did start initiating conversations with our agents via the chat box. We answered basic questions. We missed a few chat requests. After just two days, I read over the chat reports (PureChat has nice reporting features for administrators, including nightly email reports). Unfortunately, I didn’t learn much. We had lost 30 percent of our expected leads over two days, and all I saw were basic questions about our products or incomplete conversations where the user seemed to drop off after asking one question. Why weren’t we getting the results demonstrated in the surveys I’d read? After doing some more research and internal brainstorming, our team decided we needed to revamp our approach in three aspects: the chat box design, the timing of displaying the chat, and how the user interacted with the chat. First, we tested different chat box colors, styles, and locations. In our initial haste and “throw it up to see what happens” approach, we had inadvertently put our chat box in a location that covered our contact form when the user scrolled beneath the fold of some of our top landing pages. We also changed the timing of the chat box pop up, delaying it to 45 seconds after landing on our site. Initially, we had it pop up with no delay. It was distracting. On top of that, PureChat offers different animations for the chat box pop, and the one we were using was particularly eye-catching. Combine that distraction with the previous problem of having the chat box cover our form, and it’s easy to see why our conversion rates were tanking. Why 45 seconds? It wasn’t an arbitrary decision, although anything may have proven better than 0 seconds. Instead, we looked at the average time on site for our top landing pages and on our site overall. With this in mind, 45 seconds seemed to be the time that would catch the majority of visitors after they had been on the site for a while, but before they had bounced. Finally, we decided to add some required fields for the user to submit before we started a chat—namely, their name and email address (so we could follow up with them via email if needed). Things improved. Our new strategy has helped get us closer to a happy marriage between having a chat box that helps our users get quick answers and our ingrained expectations for the conversion rates of our pages. Converting site visitors into leads is still the priority, but the chat box is starting to show the benefits that all the surveys proclaim. We learned this lesson: In most cases, it’s not the idea of the chat box that’s driving people away from your website or lowering conversion rates, but something about the chat box that’s turning people off. Let your chat window complement your customer’s experience on your website, not interrupt it. Customers might be put off by a chat window that instantly appears on the landing page, causing them to bounce right away. Consider having the window appear after the user has spent some time on the page or site. On the other hand, don’t wait too long to display your chat. The last thing you want is a potential lead wondering how to get in touch. Effective chat windows don’t disrupt your customer’s site experience. This means your chat window should have a look and feel similar to that of the rest of your website. Incorporating the right color scheme, your company’s logo, and a size and shape that fits your site sparks trust in customers, making them more likely to chat and make a purchase. Make sure your chat box is not covering up your contact forms. Users won’t bother asking questions via chat box if they’re not convinced a real, live human being is on the other side. Make sure your greetings are personalized and the answers your customer service reps provide don’t sound too robotic. The idea is to give users a live chat experience equal to one they would receive by phone. Customers using your live chat feature are expecting to have their questions answered and issues resolved quickly. Make sure you have the right reps behind the chat window that know your product or service well. If they can’t deliver answers quickly, users won’t wait. This has been easy for us with PureChat, which sets up desktop and mobile notifications for our reps that can run in the background while they do their usual workflow. In the end, certain customers will always prefer to discuss their issues over the phone instead of using a live chat window. Placing a chat box on your site won’t eradicate the need for phone representatives. However, it will give your users more options, and if they choose that option and have a great experience with it, you can expect higher customer satisfaction and better conversion rates. I like the feel of credibility it adds to our business, and after a few hiccups, we’re happy to have it integrated into our business today.